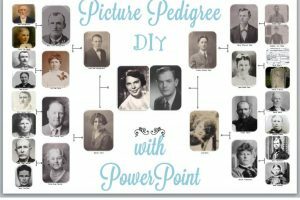 If you’re like me, you keep your family’s current photos on a cloud site like Google Photos, but you also have old family videos on YouTube, genealogy documents on Google Drive, and ancestor memorial pages on FamilySearch, Ancestry, and Fold3.com. 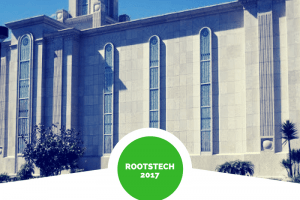 At RootsTech, I met Stan Kinsey, whose new tool, Collectionaire, can help you build a hub or table of contents which acts as an web portal to all your family’s online content. Isn’t this an innovative idea? 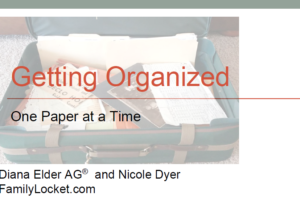 Instead of feeling like your content is scattered across multiple cloud sites, you can organize links to it all in one handy website. 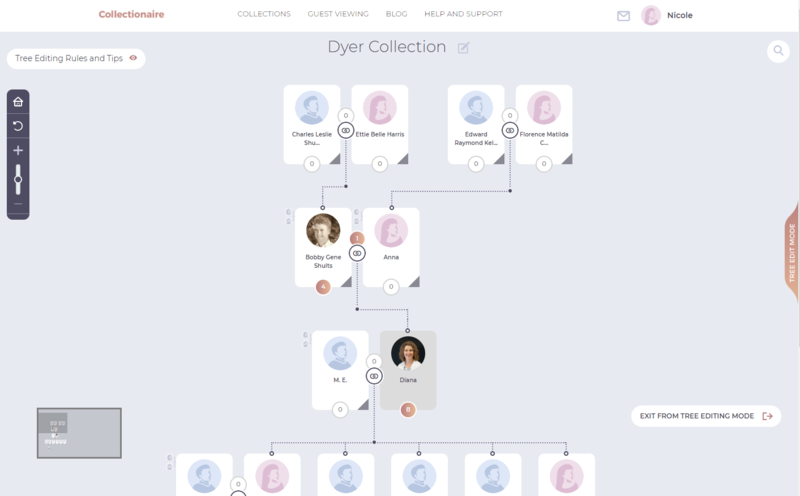 You won’t move your photos to Collectionaire, you’ll just create a simple family tree structure for your close relatives, then add links to all the photo albums and other collections you have for them online. Watch my Facebook Live video with Stan Kinsey, Collectionaire founder, and Olivia Jewell of LivsTreehouse, at the following link for a great explanation about the product. 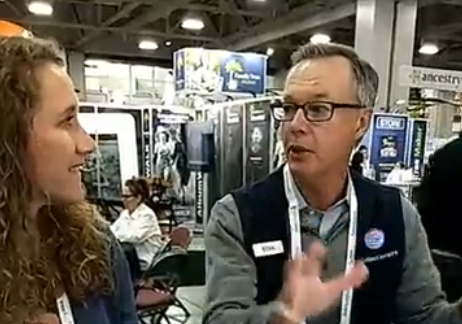 Stan Kinsey of Collectionaire Facebook Live Video. To watch another video of Stan explaining Collectionaire, go to the home page of the website here: Collectionaire. I started using Collectionaire recently and will share a couple screen shots. Below is the tree building page. 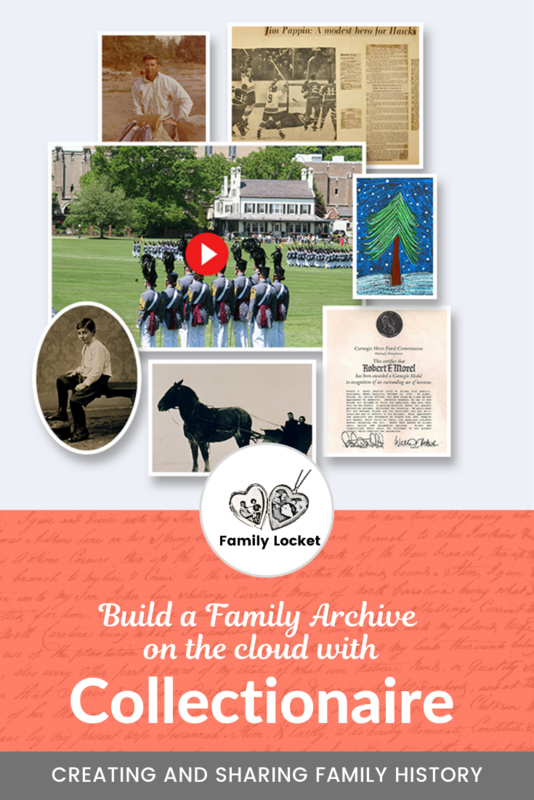 You cannot import a Gedcom yet – that’s coming soon, but Collectionaire is mostly for your close family anyway – the ones you have photo albums and videos for. It won’t take long to type their names in. To start, you just need to build a few generations. I just typed in the names and chose the gender and didn’t bother putting anything else like birthdays yet. You can also upload a photo for each person in the tree building view. You can change the way you view the tree by clicking the triangle at the bottom right of a person’s card. This shows the selected person’s ancestors and descendants. In the screenshot below, you see that I have selected my mother. After you’ve built a tree for the people you’re going to add photo album links for, you can then exit tree building mode and click on a person. 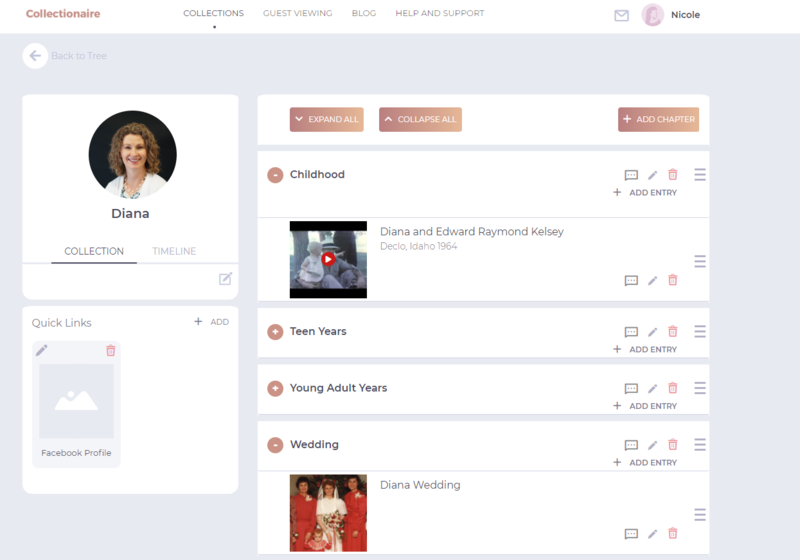 The joint circles in between a couple mean that you can have a collection page for the couple together. Otherwise, when you click on a person, you go to their individual collection page. I clicked on my mom, Diana, and then added links to the home videos from the 1970s that my brother digitized and uploaded to YouTube for us a couple years ago. Then I added a Google Photos album that I created with all my mom and dad’s wedding photos. It’s easy to add – just get the “share” link from Google Photos, then paste it in to a new entry. You can see in the screenshot above the “+ ADD ENTRY” button next to each “chapter.” The chapters I added include Childhood, Teen Years, Young Adults, Years, Wedding, Study Abroad, etc. We think of it as simply one place for “your best” lifetime memories… everything you absolutely never want to lose track of in your family’s photo/video/document collection over the coming years, and the personal “legacy” collection you’ll want to leave to your grand-kids. You don’t move your photos to Collectionaire. Instead, the app links you to photos and videos found in any major cloud site. It becomes both an aggregator and hub to your photo collections. We reverse the usual thought process… Before, the cloud was the backup location for photos and videos on your computer. Now we make the computer the backup and the cloud is where you view and share your photos and videos. Now you can take advantage of advanced photo cloud features like streaming, geo-tagging, facial recognition, etc. for your photos, and “direct starting point” navigation for your videos. With the app, family vacations are now all together in your “family” collection. Kids activities/passions/sports/music are in their own collections. 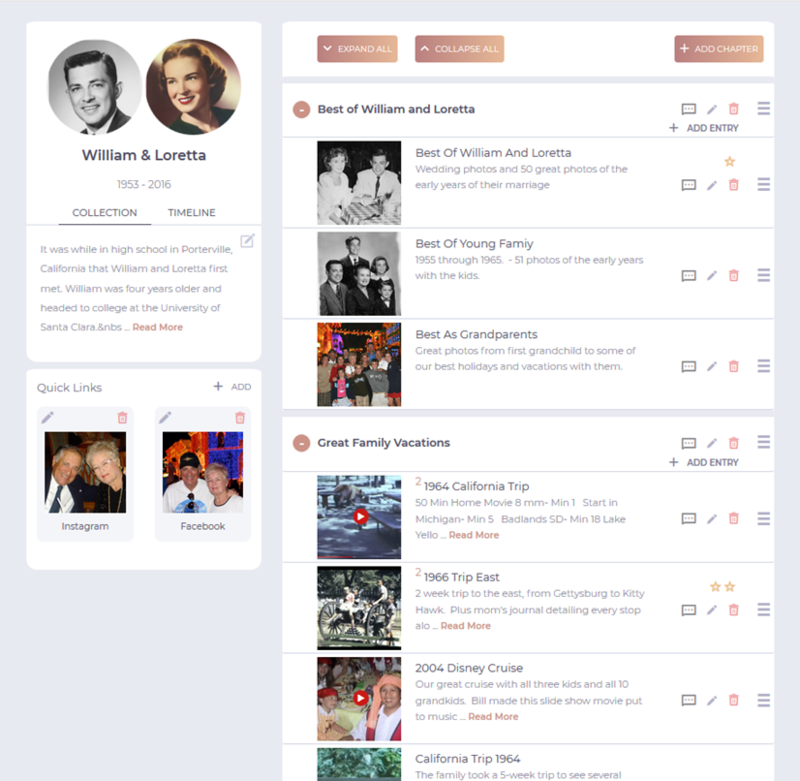 And everything is brought together… slide shows, movies, photo albums, etc… in one place, navigated via your family tree. It doesn’t matter if these are in iCloud Photos, Google Photos, Dropbox, Vimeo, etc., etc. Even your best ebooks, blogs, etc. They all come together in one collection. Stan has offered my readers a special deal to try Collectionaire for 50% off any level of subscription for 24 months. We have also become affiliate partners, so if you sign up for Collectionaire, I receive a portion of the proceeds. Building your family tree on Collectionaire is free! Plan pricing is based on the number of linked albums in your account. Up to 20 albums are free! 21-300 linked albums requires purchasing the Basic Plan which is $2.99 per month when billed annually, $3.99 per month when billed monthly. For 301+ linked albums, you must purchase the Pro Plan, which is $4.99 per month when billed annually, and $5.99 per month when billed monthly. 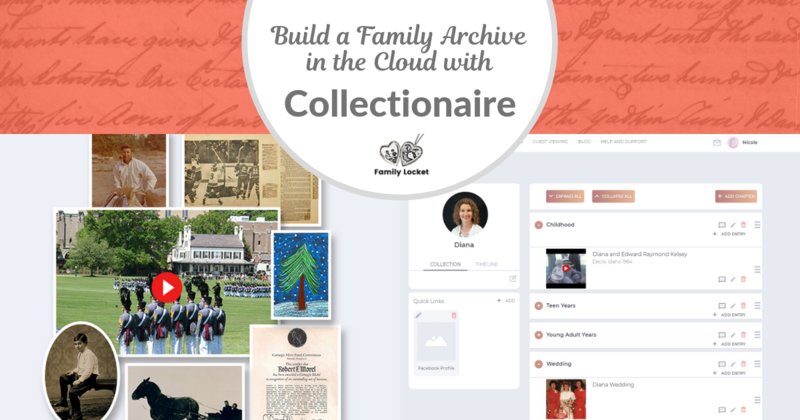 If you would like to try Collectionaire, take advantage of the coupon code below to get all your family’s online content organized in one, beautiful archive. The code expires April 30, 2019. · Benefit: 50% off any level subscription for 24 months from date of entry. · Process: Go to Collectionaire.com > Create a free account > Verify your email > Click your name > My Account> Purchase Subscription> Choose a plan > Enter a credit card > add the coupon code > click APPLY.